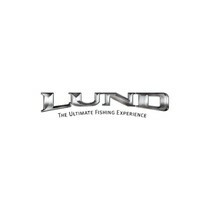 Lund Boats industry has marked an era in the marine industry with their enthusiasm, ideas, proficiency, and out-of-this-world constructions. They have designed boats conveying a perfect synthesis of strength and balance. Not afraid of moving forward, not afraid of getting better and greater, not afraid of putting a powerful stamp on the industry, they have created and delivered the Lund 208 Pro-V Tiller. This majestic boat is simply loaded with an array of practical features around the boat. This boat presents a dream come true for anglers out there due to its most spacious platform and horsepower rating of its kind in the marine industry. Additionally, the 208 Pro-V Tiller's price is more than conveniently appropriate. 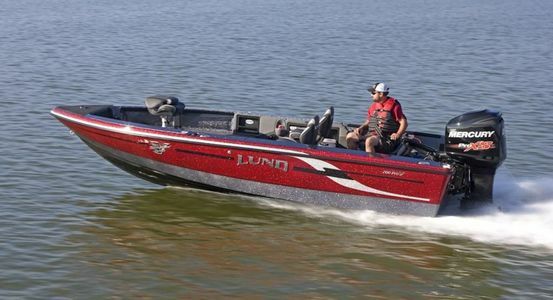 The Lund 208 Pro-V Tiller belongs to Lund’s fiberglass series with an integrated IPS2 hull. IPS is an abbreviation for Integrated Power Strake which basically means that the hull is constructed for more efficient boat control, maximum performance, durability, and strength. The hull funnels water down and away from the boat while it lifts the bow keeping the skipper and the other anglers dry inside the cockpit. The IPS2 hull, together with the fiberglass boat shell, introduce an unmistakable ride for both anglers and families wanting to relax. 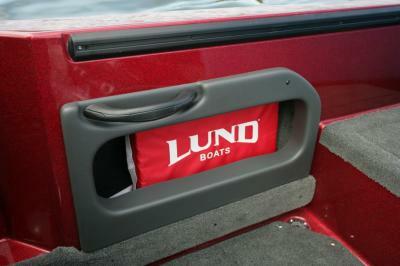 Lund Product Manager, Rory Wiebe, has pointed out a comeback in demand for back-trolling style tiller watercrafts. "We’re a tight-knit group, both anglers, and engineers, who work closely to provide keen ideas and design input." Thanks to this close collaboration, they have designed the Lund 208 Pro-V Tiller which is 20 feet and 8 inches long and its beam is 96 inches. The total weight is 2.400 lbs. 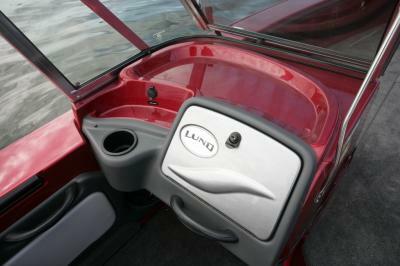 The boat is rated for up to 250 horsepower (Mercury engine) and uses gas. The total fuel capacity is around 60 gallons. 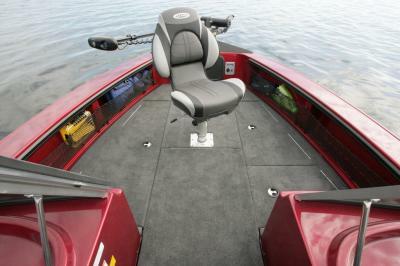 The seating position allows five anglers to fish at the same time and is wired with a 36V system both bow and aft. 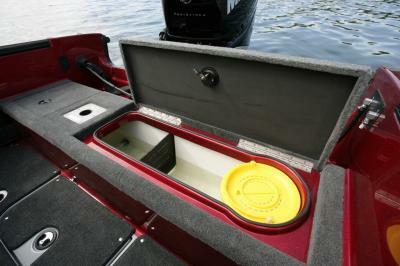 One of its perks is certainly its Pro LiveWell system with a LiveWell container. 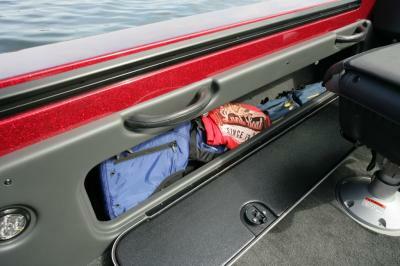 This LiveWell takes the fresh water while driving plus the air circulates within it. The rear one is 51 inches long and has the capacity of up to 26 gallons while the front one is somewhat smaller with 31 inches in length and 13 gallons of its capacity. 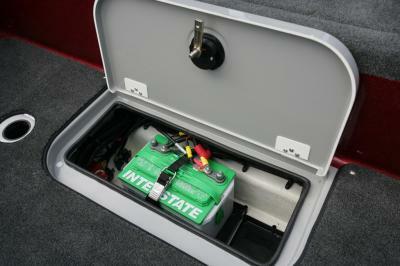 During the night, these LiveWells include interior lighting so anglers can fish at night too. 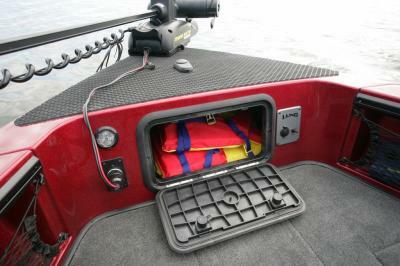 The command console comprises suitable lockable storage just in front of it which is designed for sheltering the modern in wide-screen sonar /GPS mapping units. Intelligently, all the commands and switches are at the skipper’s fingertips. Moreover, there is a footrest both port and starboard for making driving more comfortable. The designers thought of everything. In some occasions, AM/FM Sony Stereo with two speakers can jump out at you. When the fish don’t bite, the music speaks. The Lund 208 Pro-V Tiller contains a bundle of storage like two cup holders port and starboard, a rod compartment that can hold at least 11 rods up to 8 feet long, a tool compartment for pliers, cutter or anything one may need. 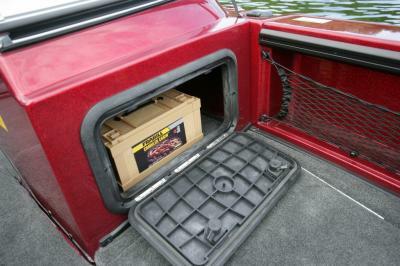 Over to the next side is a storage net compartment and can be used for various things. Let’s not forget about the SportTrack system. This flexible system enables the motion of the rods throughout the boat, thus positioning the rods at essential places around it. Additional features include huge storage netting at the bow for jackets or life suits, a huge cooler system to put some drinks or food in, one more jumbo compartment at the bow, hydraulic tilt steering, just to name a few. The Lund 208 Pro-V Tiller reviews are impeccable with all its features and traits that make it imperial. Large platform, horsepower, sundry gadgets and storage compartments all make it unique and attractive. So, what are you waiting for? Call us now and get your Lund 208 Pro-V Tiller this second!